Continuing its mission to make it easier for designers and printers to be more creative, productive, and efficient with digital printing, Neenah Paper presents EXPLORE 2. This is the second tool in this series, designed to provide simple solutions for short-run printing. As with EXPLORE 1, the dielines used to create the samples in this piece are available for free download. EXPLORE is about inspiring your city, with printed samples designed to cultivate awareness and encourage action. From a creative brochure using three different papers cut to three different sizes to promote a local art space, to a unique triangle box used to create community interest by housing a small surprise, EXPLORE 2 showcases seven different printed pieces of inspiration that are practical, quick, strategic, tangible, and printed digitally. 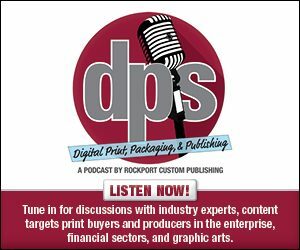 According to research by Smithers Pira the digital print market continues to show dramatic growth, estimated to reach $15.3 billion worldwide by 2018 and $3.38 billion in the US alone. Many drivers are cited for this growth including the decline of the average print run and the opportunity for versioning and personalization — areas where digital print excels. “For a long time the ideal papers for digital printing shared two characteristics: They were smooth and they were white,” says Greg Maze, Senior Brand Manager, Digital at Neenah. “As the capabilities of digital presses have advanced, so too has Neenah’s digital paper collection. EXPLORE 2 demonstrates the range of possibilities now available for digital, including colored and textured papers. Haptics, which is the ‘new’ design philosophy of engaging and interacting through touch is what papermakers like Neenah have been doing for many years,” he says. Neenah is helping to make short-run printing projects even more efficient, “If a designer or printer sees something they like, we are giving them a starting point. Download a file, tweak it, play with it, and add your own design to the template, and it’s free,” says Maze. EXPLORE 2 is valued at $9.99 and is available free through Neenah sales reps.